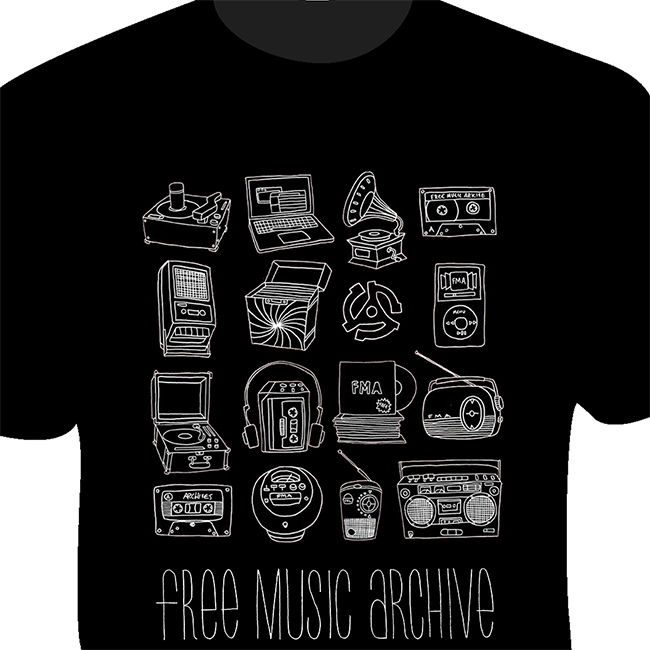 Back by popular demand, we're offering our Music History t-shirt for another year! Greg Harrison, the artist who designed the shirt, is an animator and illustrator from New Jersey. A longtime supporter and friend of WFMU, Greg has also helped the FMA with previous projects such as the Free Birthday Song Contest, the microSong challenge, and more. You can find out more about him here. This shirt shows off a variety of music formats from the previous century, including our beloved MP3 - the image below is a detail of the artwork. Pick one up with a $50 donation today and show off a piece of music history!